Progress (word count or a general status update): I´m behind on the official daily word count needed to complete BUT I´m writing more than usual and I plan on writing this weekend as well. Goal as of Today: I want to continue using my time in my commute to its full potential. That means actually typing 300 more words than usual. “Love you both,” I tell them. My chest constricts and I rub the back of my neck. “Don´t talk like you´re saying goodbye. You do realize we have school tomorrow, right?” Jessie raises an eyebrow, and glances between me and Aleksi. “Sure,” I say the word but I don´t believe it. All my certitudes are gone in smoke. And damn it, I really want a puff a nicotine. There is this little querying thing I´m doing these days 😀 And I entered Baker´s Dozen Auction. I still have to make it through the slush pile but I´m entry #100….The first submission window closed so fast, my head was spinning. Gratuitous Photo: With the release of Dear Teen Me, I sent my picture to Erin as she is preparing something special for the blog tour…This would be my advice to my teen self. How is your writing/revising/editing/the rest of your life going? Previous postCatching up…Do you remember me? Next postYou just need that one…. Ooh, unexpected creepy scenes, nice! With everyone doing NaNo I’m seeing wordcounts shooting up super fast, but my writing is going the other way…slow, slow, slower. Progress is progress, though 🙂 Good luck with queries, I hope wonderful things happen for you! I am currently procrastinating and not editing like I should be, sadly. 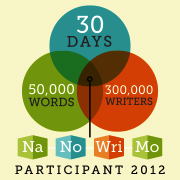 I wish you luck with the rest of NaNoWriMo! That creepy grandmother hint gave me shivers, Elodie! I loved the snippet you shared too. It’s so much fun to get little glimpses of everyone’s projects and writing styles. 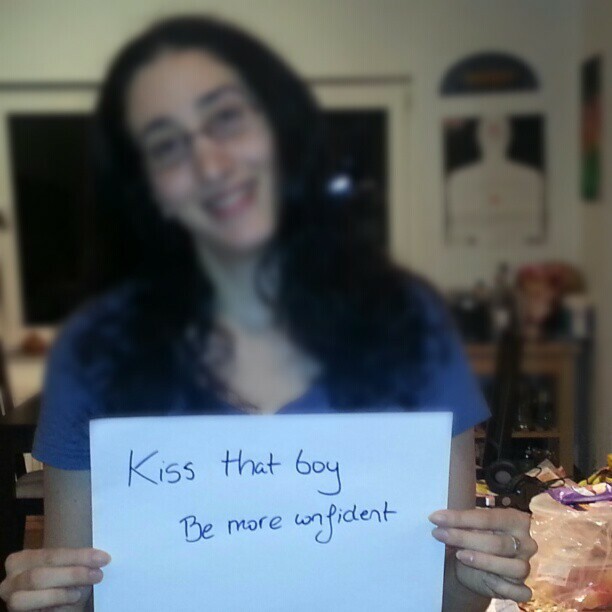 Oh, and your Teen Me advice… Perfection! Glad you’re making use of my little template. I’m finding that it erases some of the pressure to blog. Good luck keeping up your NaNo pace! Oooh, new project looks good! I’m so intrigued. Good luck with the agent auction!!! That grandmother scene sounds so creepy! I’m intrigued about your story now 🙂 Thanks for the Stephen King inspiration–I’m stuck in the middle of my WIP, so I need to remember to take it one word at a time. Ack! to the whole “possessed grandmother crawling on the ceiling” thing. Creepy. Good luck with querying and with NaNo! Can’t believe you write on your commute. Concentration must be a superpower for you. I’d be so distracted! Wow! You have a busy month. Good luck with NaNoWriMo AND Baker’s Dozen AND querying!